Also a long-time member of the Republic of Ireland national team, he appeared at the 1990 and 1994 FIFA World Cups, as well as UEFA Euro 1988, the team's first-ever international tournament. McGrath was born in Greenford, Middlesex to an Irish mother and a Nigerian father. His father disappeared soon after his conception. His mother, Betty McGrath, was terrified that her father would find out she had become pregnant outside marriage and in an interracial relationship. She travelled in secret to London to have her child, who was considered illegitimate, and gave him up for fostering when he was four weeks old. When he was five years old, one of the daughters of the family he had been fostered by came to Betty to say they could not control him. At that stage his mother had him back for a number of days before having to put him into an orphanage. Despite being Paul McGrath on his birth certificate, the admission form required the name of the father, hence he was known as Paul Nwobilo for a time. He was brought up in a number of orphanages in Dublin, but had regular visits from his mother and sister until the time he left. McGrath began as a schoolboy with Pearse Rovers and played junior football for Dalkey United. While at the latter, he attracted the attention of Manchester United scout Billy Behan. Before becoming a full-time professional with League of Ireland club St Patrick's Athletic in 1981, he briefly worked as an apprentice metal worker and a security guard in Dublin. McGrath made his debut in a League of Ireland Cup clash with the Shamrock Rovers in August at Richmond Park. He ultimately excelled at St Patrick's, earning the nickname "The Black Pearl of Inchicore" and receiving the PFAI Player of the Year Award in his first and only season, scoring four goals in 31 total appearances. In 1982, McGrath moved to Manchester United, then managed by Ron Atkinson. He missed out on a place in the FA Cup victory over Brighton & Hove Albion the following year, but soon ousted Gordon McQueen to become the regular partner to Kevin Moran in the centre of defence. He was named man of the match for the 1985 FA Cup Final, which United won 1-0 against Everton and which was largely remembered for the sending off of Kevin Moran – the first ever in the competition's final. In his early years at Manchester United, McGrath was frequently used as a midfielder, changing to defender while still at Old Trafford. While he had a lazy running style, he did not lack pace. In 1985–86, it appeared that McGrath was on course to pick up a league title medal after United won their first 10 league games of the season, but injuries to key players including Bryan Robson soon took their toll on the side and they eventually finished fourth in the table, 12 points behind champions Liverpool. A dismal start to the 1986–87 season saw Ron Atkinson sacked as manager and replaced by Alex Ferguson in November 1986, but McGrath initially remained a regular member of the first team. United finished second behind Liverpool in the league a year later. By the 1988–89 season, McGrath was struggling with knee injuries and was becoming a less regular member of the first team, facing competition from new signings Steve Bruce and Mal Donaghy. His relationship with manager Ferguson was becoming strained, as McGrath's alcohol addiction and physical problems led to United offering him a retirement package of £100,000 with a testimonial. McGrath refused, and instead Ferguson began to inform clubs of his availability. Although McGrath's former manager Atkinson made an offer from Sheffield Wednesday, Aston Villa's offer was accepted and McGrath signed on 3 August 1989 for a fee of £400,000, after 203 appearances for The "Red Devils", with 16 goals – the last of which came in a 2–1 league defeat against Norwich City at Carrow Road on 25 February 1989. During the late 1980s McGrath was offered terms at S.S.C. Napoli, but the deal did not come to fruition. McGrath signed for Aston Villa in August 1989. While at Villa, McGrath played some of the best football of his career, despite recurrent problems in his knees. Villa came close to winning the title in McGrath's first season, finishing second to Liverpool. The next season saw the club fighting relegation for much of the campaign, after boss Graham Taylor left to take control of England. Despite the managerial upheaval, McGrath's performances continued to impress. Under Josef Venglos, the first top flight manager to hail from the European mainland, McGrath became a consistent mainstay of the Villa line up. After one season of Venglos, Ron Atkinson took over, building one of the finest sides of the early Premier League era. Aston Villa again ended as runner-up, behind Manchester United. As a sign of the regard he was now held in by his fellow professionals he won the PFA Players' Player of the Year award at the end of the season, and would also win his first trophy with the "Villans", defeating Manchester United in the 1993–94 Football League Cup. In 1996 McGrath won a second League Cup for Villa. By the end of his Villa career he had chalked up 323 appearances in the claret and blue. He is affectionately referred to as 'God' by many Villa fans. After winning another League Cup, McGrath departed Aston Villa in the autumn of 1996, leaving a legacy as one of the greatest players in the club's history. He is immortalized most match days, when supporters sing the 'Paul McGrath, my Lord' terrace chant to the tune of "Kumbaya". He was sold to Derby County for £200,000 and helped the newly promoted Rams finish 12th in its first Premier League season. He then dropped down a division to sign for Sheffield United in the summer of 1997. McGrath won his first full cap against Italy in 1985, last playing 12 years later, against Wales. During that time, he was often regarded as the single most influential player Ireland had in the national team's glory days. He was capped 83 times, scoring eight goals. McGrath was a major part of the breakthrough of Ireland's national team of the late 1980s and early 1990s. During the early part of Jack Charlton's era, he played as a defensive midfielder, due to the wealth of talent Ireland had in defence. In UEFA Euro 1988, as the national side first qualified for an international tournament, McGrath was present in the 1–0 group stage win against England. In 1990, Ireland qualified for its first FIFA World Cup, in 1990 in Italy, eventually reaching the quarter-finals, where they lost to the hosts (1–0 in Rome), with McGrath ever present in the lineups (five matches, 480 minutes played). He captained the team four times in 1992 after the retirement of Mick McCarthy, and ignored a painful shoulder virus to play in the 1994 World Cup. In Ireland's opening game of the 1994 World Cup – a 1–0 win against favourites Italy, thanks to Ray Houghton's early goal – in a perfect example of his commitment to the game, McGrath put up an astonishing defensive performance in spite of excruciating knee problems, including blocking a shot from Roberto Baggio with his face. Even after his retirement from international football in 1997, he is still regarded today as one of the greatest ever players to put on Ireland's green shirt. McGrath suffers from alcoholism, and missed occasional matches as a result. In an interview with FourFourTwo, he admitted to playing football while still under the influence of alcohol; additionally, his recurrent knee problems resulted in him undergoing a total of eight operations during his career. McGrath's autobiography, Back from the Brink, co-written with journalist Vincent Hogan. It was the inaugural winner of the William Hill Irish Sports Book of the Year (2006), won the 'Best Autobiography' of the British Sports Book Awards (2007), and won the 'Sports Book' category of the Irish Book Awards (2007). Upon retiring, he settled in Monageer, County Wexford. In 2004, one year after being taken to court, charged with a breach of the peace, McGrath returned to the football world after five years, moving to Waterford United in Ireland as director of football. In 2011, he launched his singing career with a cover version of the Gerry Goffin and Carole King song "Goin' Back". The recording is to be followed by an album of covers by the footballer, with a percentage of the album's proceeds going to the Acquired Brain Injury Foundation and the Cystic Fibrosis Foundation of Ireland. On 29 June 2013, McGrath was arrested over an alleged public order offence at a hotel in County Offaly. He was bailed and appeared at Tullamore district court on 17 July. ^ a b c d "Paul McGrath". Barry Hugman's Footballers. Retrieved 18 February 2019. ^ McRae, Donald (24 October 2006). "'I remember the blood pouring and the nanny screaming'". The Guardian. London. Retrieved 26 February 2010. ^ a b Philip, Robert (20 October 2006). "McGrath loved by all but himself". The Daily Telegraph. London. Retrieved 26 February 2010. ^ Austin, Simon (4 November 2006). "Ferguson's human side revealed". BBC Sport. Retrieved 28 July 2010. 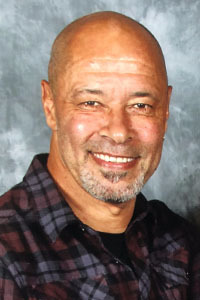 ^ "Paul McGrath: One-on-One". FourFourTwo. January 2007. Retrieved 30 July 2016. I got an enquiry from Napoli when Maradona played for them and they were Italy’s best team in the late ’80s. I was holidaying near Naples on the coast in Sorrento when a delegation of Napoli officials came to see me at my hotel. I was amazed that they knew I was there. We had a big chat, but nothing came of it. ^ "Only here for the peers". BBC Sport. 20 April 2001. Retrieved 28 July 2010. ^ "Games played by Paul McGrath in 1997/1998". Soccerbase. Centurycomm. Retrieved 13 April 2013. ^ Byrne, Peter (1996). Football Association of Ireland: 75 years. Dublin: Sportsworld. p. 229. ISBN 1-900110-06-7. ^ Austin, Simon (27 October 2006). "McGrath back from the brink". BBC Sport. Retrieved 26 February 2010. ^ Staff writer (6 November 2008). "Sports stars longlisted for Irish award". The Bookseller. Retrieved 27 November 2012. ^ "Ex-football star in court". BBC News. 12 November 2003. Retrieved 26 February 2010. ^ "McGrath gets Waterford post". BBC Sport. 13 February 2004. Retrieved 26 February 2010. ^ "Ex-Manchester United and Aston Villa star Paul McGrath begins music career". The Metro. 8 September 2011. Retrieved 9 September 2011. ^ "Paul McGrath arrested over alleged public order offences". The Guardian. London. Press Association. 2 July 2013. Retrieved 2 July 2013. ^ a b "Paul McGrath". National Football Teams. Benjamin Strack-Zimmerman. Retrieved 15 May 2016.